I tried to find something that hadn’t changed since my daughters diagnosis, something that still felt relatively the same. Yet I didn’t get far, because the truth is, everything looks different now. That’s probably because everything is different. I can’t look at a pregnant woman, or a new family or a tiny baby without seeing something vastly different. I’ve become so immersed in the special needs world now, that seeing families with neuro-typical children stands out more than ever. Almost like a glimpse into what life would have looked like, had our family life not changed dramatically. 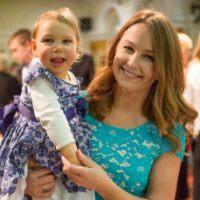 At the pediatrician appointment, for our now two-year-old daughter, I sat in the waiting room amongst all the pregnant women, most who were first time mums. I watched as they sat there, with their bellies full of love and their eyes full of wonderment for the miracle that lay within. Two years ago, I was one of those mum’s, who sat waiting to get a check-up, waiting for that moment when the galloping sounds of the babies heart-beat would play through the doppler. My heart over-flowing with joy, and deep curiosity about who grew inside. Was it a boy or a girl? What would they look like? What would be their mission in this life? What inspiring adventures would we share? So many family dreams, so much hope. In hindsight, I am glad I didn’t know what fate had installed this early in my pregnancy, I would have been too heart-broken to let myself dream about possibility. Instead, I too, was one of those mum’s just popping in for a pre-natal check-up, full of hope. In April 2013 our beautiful little girl arrived and we were now a little family of four. Born with a right clubfoot, at 10 days old we commenced treatment that continued for months. Once all this treatment was over, my baby girl would be walking around, no problem at all. Unbeknownst to me, at the time, my child was actually brain-injured. I had hunches and moments of immense worry, yet I always managed to shrug them off. Until the second diagnosis, Microcephaly, otherwise known as small head. Next was the brain M.R.I. scan to investigate things further. So many dreams, hopes and possibilities came to a sudden halt. Parenting went from the norm, to spending most of our family time, either in waiting rooms or various hospital departments who continued to deliver more devastating news. The third diagnosis was Bilateral Perisylvian Polymicrogyria then finally Quadriplegic Cerebral Palsy. And just like that, in a flash everything looked different. Chiara was only five-months-old, and had no hope of developing the ability to walk, talk or potentially live a long life. Things continued to look different. I watched as other mum’s started to celebrate milestones, a wave of a hand, or blowing a kiss, or a first word, or learning to roll, then sit, crawling, self-feeding and those first magical steps to walking. It was as if someone had come into my life and pressed a giant pause button. I was stuck in a moment of time, without knowing if, or when, it would ever change. It felt so strange that life continued to move on, I almost expected it to stop, or slow down so I could catch up. Yet even when we cannot fathom how on Earth life could possibly move on, it does. It boldly charges on forward. And in the end, we have no choice but to have the courage to flow with it. Two years on, everything still looks so different. My daughter still has huge physical limitations, we still have no idea if, or when she will gain the ability to walk, let alone talk. Yet, I am glad she arrived to shake up my world, to give me a new view and help me see the power of possibility. So, if you’re a mama like me, mothering a little differently, perhaps you were always meant to be, the perfect mother, for your special needs family. Big hugs from one SN mumma to another..
Natalie Roberts Mazzeo is a certified yoga teacher, whose inspiration and experience draws from her qualifications obtained in Australia, as well as her travels and studies throughout India. 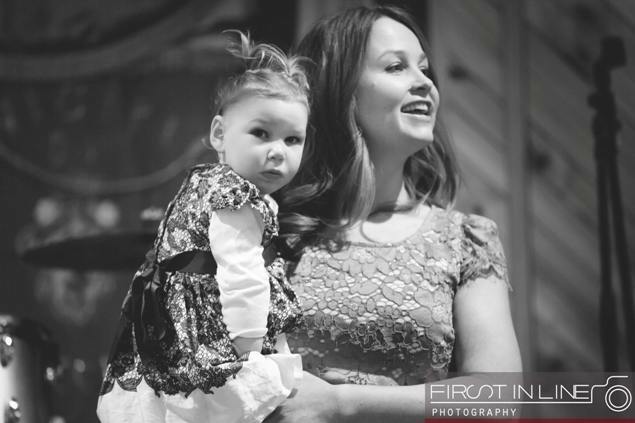 When it comes to speaking about motherhood, special needs, yoga and spirituality, Natalie combines her passion and experience to share real and raw insight into the journey of caring for a child with brain-injury. Natalie is a proud mama to her two beautiful daughters Grace and Chiara, and is on a mission to achieve a miracle for her youngest child, who had a stroke in utero. She follow’s Osho’s mantra: “Be realistic: plan for a miracle!” You can follow her journey here and on facebook.